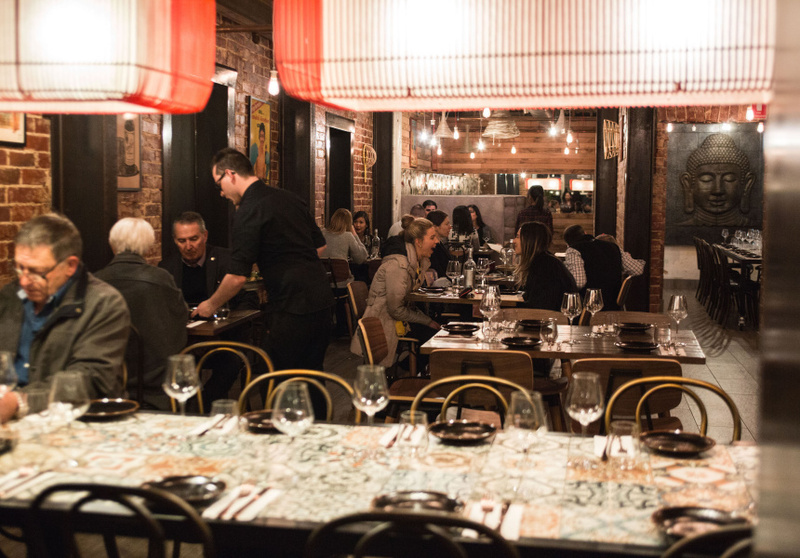 Chef Nu Suandokmai had a “mum-style home-cooked” vision for his venture, Lantern by Nu, tucked away on Selby Street, off Gouger Street’s western end. Suandokmai got his start with Nu Thai in 2000. He then spent time in kitchens in Sydney and across Asia, before returning to Adelaide. 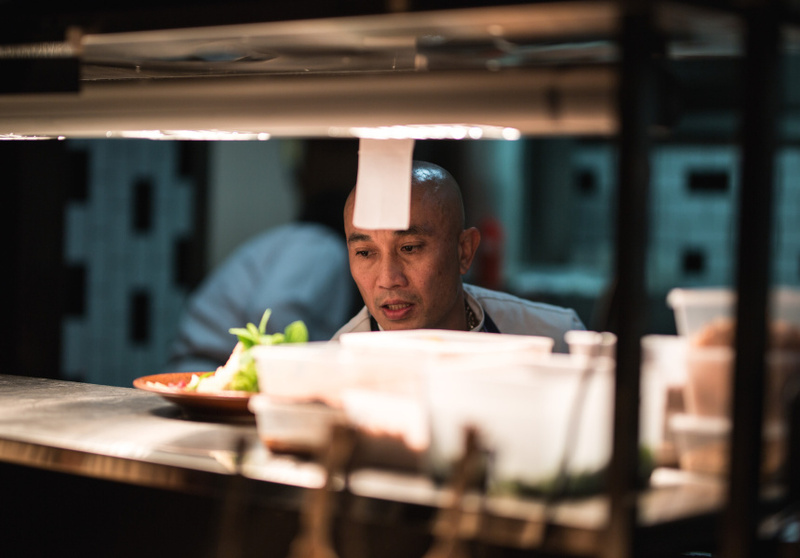 His culinary prowess has been seen on the menus of Fish Head, Gin Long Canteen, Cliché and Mrs Q. One of his defining dishes is a noodle soup served with sliced beef, pork balls and pig’s blood. There’s also a hot jungle curry with SA whiting and, instead of a coconut milk base, it’s more of a broth. 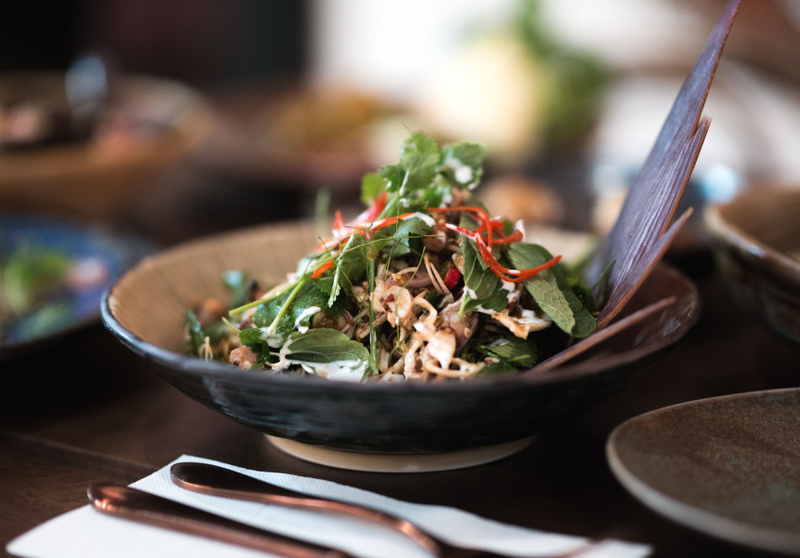 The menu depends heavily on what produce is available, but staples such as pad thai and a northern Thai sausage dish will remain. “Home-style” isn’t restricted to the menu. A large gold Buddha commands the restaurant’s entrance. It was once a warehouse home, which gives it an unsurprisingly warm, lived-in feel. Of two main rooms, one acts as a restaurant, the other as a “tapas” bar. Tables are topped with timber from Indonesian fishing boats and tiles from Thailand. Decades-old Thai brand posters from the Suandokmai family collection adorn the exposed brick walls. A prayer room, which Suandokmai uses before service, features a Buddha from his great grandfather. The wine list is exhaustive, with a dedicated skin-contact section. There are plans to add bucket-style cocktails to mimic those of Thailand’s full- and half-moon parties.